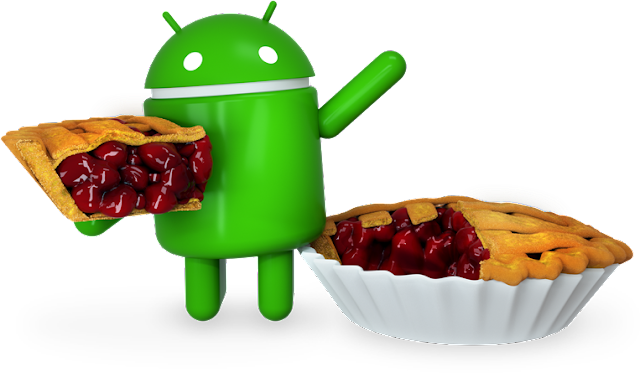 Google has opened up for download the final version of the Android operating system 9 Pie ( "pie"). The largest update of the mobile OS for the year is available for installation on all Pixel smartphones starting today. On other Android-devices, an update will be released by the end of autumn. "Devices that participated in the beta program from Sony Mobile, Xiaomi, HMD Global, Oppo, Vivo, OnePlus and Essential, as well as all satisfying Android One devices will receive this update by the end of this year !" - Said Google. They also added - "We are working with a number of other partners to launch or upgrade devices to Android 9 this year." Unlike last year's Android Oreo, Android Pie is full of changes both outside and inside. Users of the update will be greeted by a new Digital Wellbeing information panel, showing when, how often and for what time these or other applications were launched. There will be an opportunity to limit the time of using the programs: for example, on Instagram, you can set a half-hour limit per day, after which its icon will turn black and white. In the case of the iPhone X, the new Android will adopt a gesture interface for switching between applications. "Home", "Back" and the button for entering multitasking mode will disappear: they will be replaced by one extended key in the center of the screen. If you do it with a swipe from the bottom to the top, a list of recently launched programs will open, when you resubmit the list of proposed applications. The release of Android 9 Pie for Pixel does not include all the features that were announced within Google I / O. In particular, the possibilities of the Digital Wellbeing panel are very limited (statistics of the use of programs are given in abbreviated form), and the function of "slices" (when it is possible. For example, to call a taxi directly from the search line without launching Uber) is completely absent. These features will be available soon when the new OS gets to other devices. Silent Sunny is a blog created by Sandeep Jasrotia . He is a blogger and entrepreneur . He loves to compose music whenever he gets time from work . You can know more about Sunny on the About Page. The Blog Creator . Follow him on social networks. Copyright © 2018 Silent Sunny All Right Reserved.